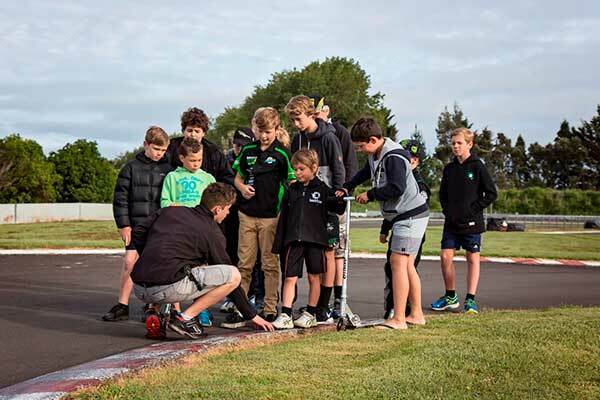 Qualified coaching will be more accessible to all Kiwi karters under a revamped Coaching Academy launched this month by the governing body in NZ, KartSport New Zealand. Key to the revamp is a move to a certified ‘one-on-one’ coaching model. While some group coaching will still be operated by coaches where demand exists and clubs support such training, the major breakthrough and key benefit of the change is the ability of accredited Academy coaches to undertake one-on-one Explore & Learn and Hot Shots curriculum courses and assess and approve competition licence signings to help fast track licence ratings. “KartSport continues to enjoy outstanding triumphs both nationally and on the world stage and the ability to supercharge driver success through effective coaching is now seen as a mandatory requirement for top level success. An initial team of experienced coaches has been qualified and accredited by KartSport New Zealand with the team to be managed by Academy Director, Richard Moore and Head Coach, Niki Urwin. “All coaches have had significant coaching experience and most also have proven distinctive competition success both in New Zealand and overseas” Graeme Moore said.